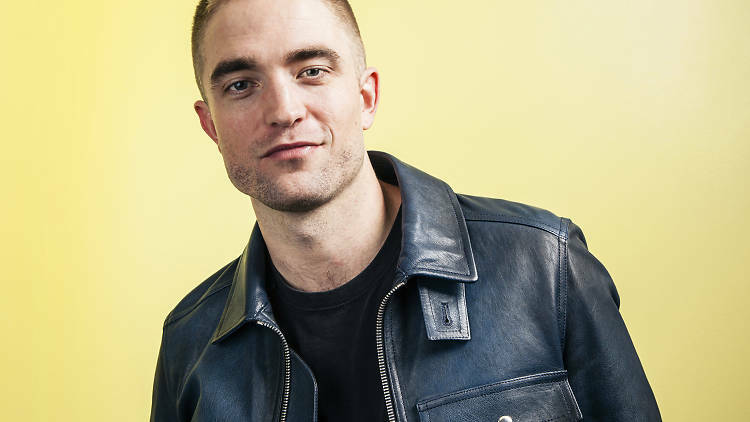 Time Out interviewed Rob when he was in London. It's a good read. Grab a cuppa and get comfortable! Robert Pattinson’s hair is no more. When I meet him, his enviably tousled locks have been replaced with a brutal shearing practically designed to break a million ‘Twilight’ fans’ hearts. 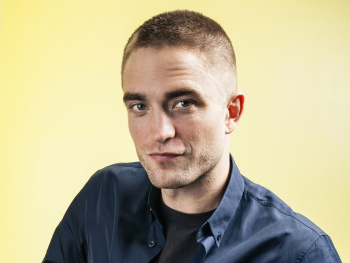 This buzzcut is a by-product of Pattinson’s new film ‘Good Time’, which requires his character to give himself a terrible bottle-blond dye job and left him looking like Scarecrow in the ‘The Wizard of Oz’ after a hard night out. Seeing him reclining on a Soho hotel’s sofa in the unfussy jeans-and-T-shirt-and-sneakers combo that’s become his uniform (‘I could keep my stuff in a plastic bag,’ he says), it’s easy to imagine that without another project to work on – Claire Denis’s sci-fi adventure ‘High Life – he’d still be cheerily rocking the yellow mop top. Pattinson, it’s fair to say, is happiest doing the opposite of what people expect. As a teenager in Barnes, he had an unorthodox introduction to acting: he auditioned for a play just because he fancied a girl in it. His lucky break came getting the part of Cedric Diggory in ‘Harry Potter and the Goblet of Fire’ at 17. Then he had megawatt fame thrust upon him by the £2.5 billion-grossing behemoth that was ‘The Twilight Saga’. Since then he’s taken the road less travelled. ‘People were waiting outside my house a few years ago,’ he remembers of the ‘Twilight’-fuelled hysteria that saw him doorstepped by fans and his girlfriend, FKA Twigs, receive death threats from racist Twi-hards, years after the series had finished. Then SW13’s most famous son ditched the blockbusters, and the spotlight. He spent the past few years working with cult directors like David Cronenberg, Werner Herzog and James Gray. The resulting films haven’t always set the box office alight, but they have been singular, occasionally brilliant and hellishly hard to shake off. ‘Good Time’ is another one of those. A scuzzy pulp thriller with a patina of sweaty desperation, it’s a furious, compelling watch. It’s also a likely Oscar contender, and Pattinson is a revelation. The film’s directed by the Safdie brothers. I heard you spotted a picture from one of their other films online and basically cold-called them, then they wrote this film for you. Is that true? ‘Good Time’ is set in a very specific New York world. Did you dive deep into that? Were there any ‘Twilight’ fans among the inmates? There must have been some weird on-set moments, too. There’s a scene where a dye pack explodes in your car, for instance. What made you want to get into acting in the first place? Your career kicked off with two huge franchises, ‘Harry Potter’ and ‘Twilight’, but you haven’t gone back down the blockbuster route. If there was a part in, say, ‘Star Wars’, would you take it? Has your relationship with ‘Twilight’ changed over the years? Do you still get ‘R-Patz’ shouted at you? ‘Harry Potter and the Cursed Child’ is on at the moment in London. Have you seen it? Your old character plays a big part in it. Do you feel at all possessive of Cedric Diggory? ‘Harry Potter’ stopped you from going to uni? Does London still feel like home to you? Can you walk around town easily? What are your cultural haunts? ‘I’m completely out of touch, it’s terrible. I used to get so panicky in public areas, and I’m only just starting to get over it. I went to Tate Modern for the first time three months ago – the Giacometti exhibition, which was incredible. Do you find it hard to take holidays? Hollywood knows how to throw a party. Do you enjoy that side of the job? Doesn’t part of you fancy sitting in the corner and having a quiet pint?